It's Cooking Time!!! 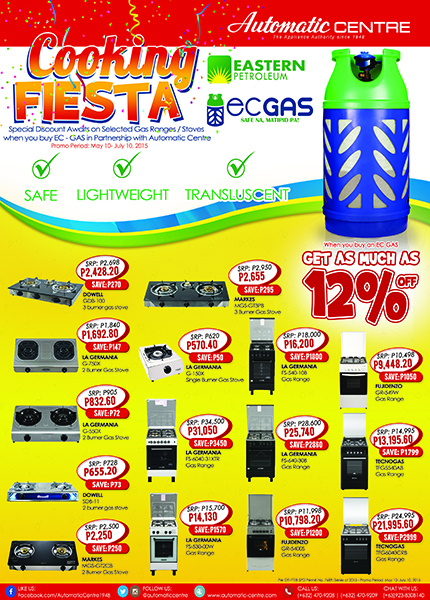 Special Discount Awaits you when you buy EC-GAS Safe Na, Matipid Pa! 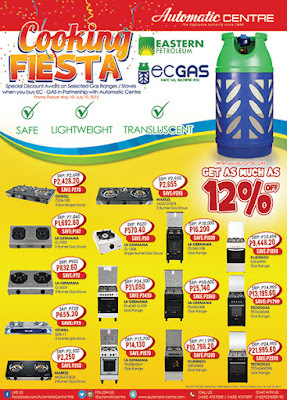 in Partnership with Automatic Centre. Please visit us to any Automatic Centre branches and present your EC-GAS receipt to GET as much as 12% OFF on Selected Gas Ranges / Stoves PLUS you will also GET AMAZING 10% discount across all Dowell products. 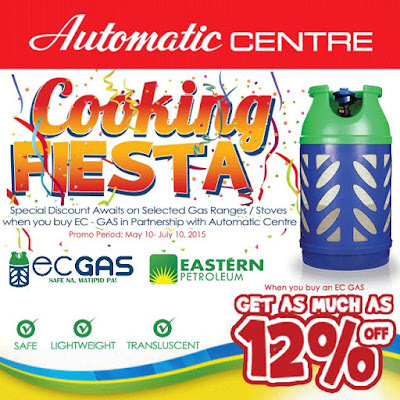 Promo Duration is from May 10 to July 10, 2015 only and OPEN to all Automatic Centre and EC-GAS customers.